Are you a teacher, occupational therapist, psychologist or other professional interested in students with learning and behavioural challenges? If so, you may be interested in further training to have a broader understanding of the relationship between a child’s early development and learning so they can fully engage in their educational experience. The Extra Lesson® training augments a professional’s skill base and understanding, providing a dynamic, practical, developmental approach to enhance the child’s/student’s learning outcomes. It is a dynamic area to work in and a worthwhile path for further learning. The Extra Lesson® Training Course is based on The Extra Lesson, which was developed by Audrey McAllen in England from the holistic developmental perspective of Rudolf Steiner’s education of the child. The child’s early development lays the foundation for later learning and behaviour. The Extra Lesson® Training has been further developed in the Asia Pacific region to include recent research in the areas of learning difficulties and behavioural disorders to maintain the professional standards required for work in this area. Graduates from this training are entitled to join the Asia Pacific Extra Lesson Association (APELA) which is an organisation established to provide ongoing professional development and ensure professional standards. The full practitioner course is at a post-graduate level and so a pre-requisite is a degree, unless a person is able to show they have the equivalent prior learning to a degree. The course is predominantly distance-run and spans 6 consecutive semesters. It involves two intensive workshops a year with private study and work with children to integrate the theory and practical aspects throughout each semester. The modules are made up of a range of topics which are cumulative and progressive, to build the theory and practical application. 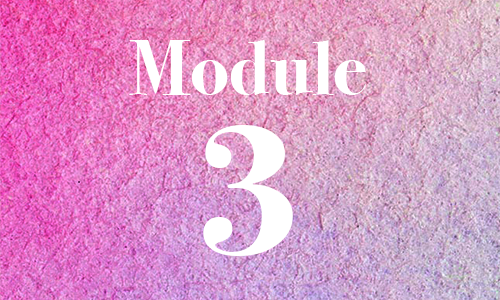 The modules are not taught as separate units but are covered over several workshops. This course is a training for professionals to gain the knowledge and skills to be able to work using a one to one intervention program for children with learning and behavioural difficulties.